Fresh, crisp and citrussy English white made from Bacchus. 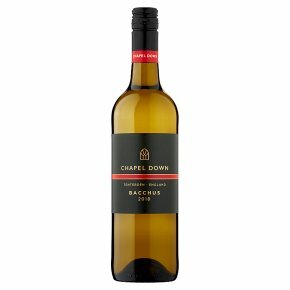 The Bacchus grape, named after the Roman God of wine, produces a fresh and crisp wine with excellent citrus fruit characters and a refreshing finish. Very fresh and grassy and ideal with fish and salads. Wine of England. The 2016 vintage was warm and dry giving fruit of exceptional quality and wines with intense flavours. A crisp, refreshing white wine with aromas of melon, pineapple, elderflower and grapefruit. The palate is fresh and zesty with flavours of gooseberry and nettle leading to a crisp, dry finish.